George Henry Chilvers was born in Cransford in Suffolk and was a farm labourer in Chattisham. He enlisted in Ipswich and served with the Suffolks. 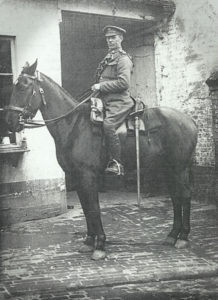 He left for France on the 6 March 1915. The 1st Battalion of the Suffolk Regiment fought in the 2nd Battle of Ypres. On 24 April 1915 the Suffolks advanced towards Fortuin in support of Canadian forces who were under heavy attack including the first use of gas. Allied artillery were unaware of the Suffolks’ movement and continued to fire towards the enemy lines. 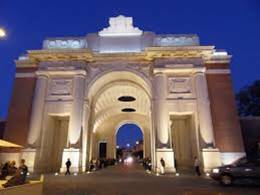 The Suffolks lost 263 men as a result of attacks, bombardments and undoubtedly some as a result of “friendly fire.” George has no known grave and is commemorated on Panel 21 on the Menin Gate Memorial (see photograph) in Ypres. 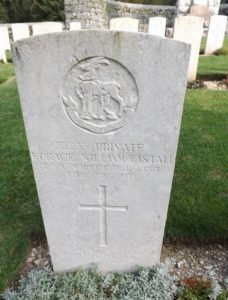 Horace William Eastall was born in Pettaugh, Suffolk. He had worked as a groom at Greenway Lodge in Gosbeck, Coddenham. Horace was married to Alice Cook in the summer of 1914 and their son, Cyril, was born the following July. Horace enlisted in Ipswich and first served with The Buffs (East Kent Regiment)) and then became part of the Royal Warwickshire Regiment. In November 1917, Horace was injured and appeared in the weekly casualty lists which were published by the War Office. At some stage it was deemed he was fit enough to resume his duties and was killed in action the following summer. 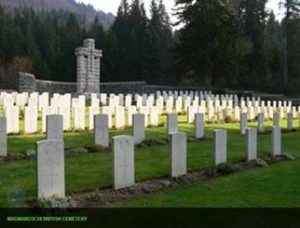 Horace is buried at Magnaboschi British Cemetery (see photograph), in the province of Vicenza in Italy. Died 13 January 1918 aged 32? He enlisted in Mill Hill and joined the 8 Bn of the Suffolk Regiment and arrived in France on 4 October 1915. He was killed in action, aged 31, and is buried at Canada Farm Cemetery (see photograph) nr Ypres. 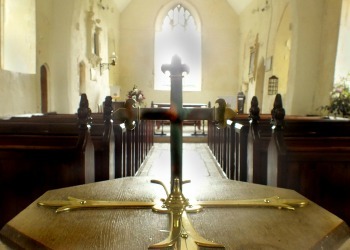 The cemetery was named after a farmhouse which was turned into a dressing station in 1917. 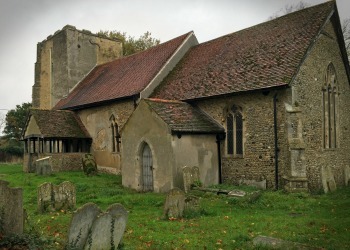 Marcus Steward was the son of Henry and Ellen who lived at “Crossway,” Hadleigh Road, Sproughton. He was born in Washbrook in Suffolk. Marcus is believed to have joined the Royal Navy in Portsmouth, aged 17, in 1907. 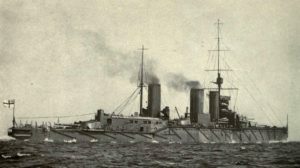 By 1916 he had risen to Stoker 1st Class and was serving on HMS Queen Mary, the last battle-cruiser to be built before war broke out. The Battle of Jutland took place on the 31st May 1916 and lasted for 16 hours. 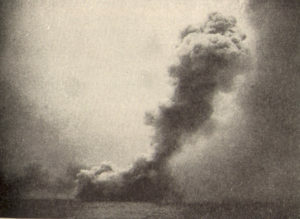 HMS Queen Mary was hit twice by the German battlecruiser Derfflinger during the early part of the battle and her magazines exploded shortly afterwards, sinking the ship. Witnesses described how the explosion resulted in the battle cruiser being “vaporised”. Of the crew of 1,289 there were only 20 survivors. 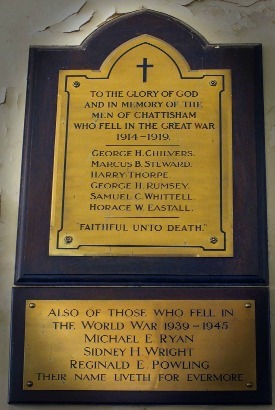 Marcus is commemorated on the memorial at Chattisham Church and on panel 19 of the Portsmouth Naval Memorial. He was aged 27. Harry was the son of Walter Thorpe and Ellen Vince who married on Christmas Day 1879. 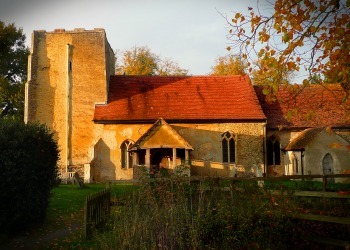 Harry was born in July 1885 at Parkeston near Harwich, Essex and christened in Chattisham in 1886. Harry’s mother died later that year and he spent some time with his grandparents. In the 1891 census, he was living with his grandparents, Joseph and Sarah Vince in Chattisham. In his teens, Harry worked as a taproom boy of his father’s pub, The Lord Nelson in Ramsey. Harry moved to Canada with his family, but when the war broke out in 1914 he returned to England and joined the Royal Irish Hussars. He arrived in France in November 1914 and was awarded the 1914 Star medal. Harry was killed in action and is commemorated on the Pozieres Memorial. 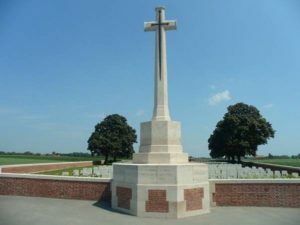 The memorial commemorates 14,000 casualties of the UK and 300 of the South African Forces who have no known grave and died on the Somme from 21 March to 7 August 1918 aged 32. Harry had two brothers who also fought in World War One. Tommy Thorpe was killed in Belgium and Arthur Thorpe survived and returned to Canada. Picture and information kindly supplied by Laurie Arthurs. Harry Thorpe was Laurie’s great grandfather’s cousin. Samuel Charles Whittell (incorrectly spelt Whittle in some military records) was born in Hintlesham. 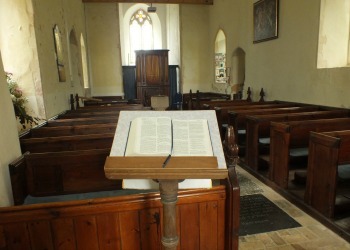 Samuel’s father, Thomas, was a blacksmith. 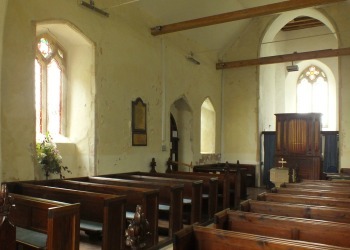 Samuel was a farm labourer / horseman who lived with his widowed mother Mary and elder brother James in Lower Road, Chattisham. He enlisted in Ipswich in February 1916. Samuel was killed during the assault on St Julien on the first day of what has become known simply as Passchendaele. He fought with the Hertfordshire Regiment and 31st July 1917 has gone down as the bloodiest in their history. 250 of 620 men of the Hertfordshire Regiment were killed in an attack on German lines and a further 229 wounded. On the 100th anniversary of Samuel’s death, a memorial was unveiled in St Julien commemorating the sacrifice made by the Hertfordshire Regiment. Samuel is commemorated on the Menin Gate for those with no known grave and at Chattisham in Suffolk. 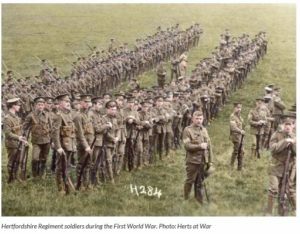 Opposite a picture of the regiment during WW1 taken from the Herts At War collection. From the soundtrack of Oh What A Lovely War. Oh, we'll never tell them, oh, we'll never tell them.